We all try to be careful, but accidents happen. And if your device is exposed to water or moisture, you are going to need some help. You could always dry it out with a container full of uncooked rice, but here’s a more portable and easier solution. The Wet Emergency Kits from Dry-All. It’s a bag filled with absorbent beads. Just take out the battery and place the gadget in the bag. Dry-All has three different types of electronics bag, which can only be used once, and they take about 24-48 hours to dry it out. The smartphone bag can be reused up to 5 times and works in just 6 hours. The Powertrekk is a bit of an ugly device, but what it lacks in looks, it makes up for in usefulness. It’s a great gadget charger for any possible gadget as long as that gadget has a USB port. Powertrekk is designed for the outdoors, which is why it has a hydrogen fuel cell coupled with a battery pack. 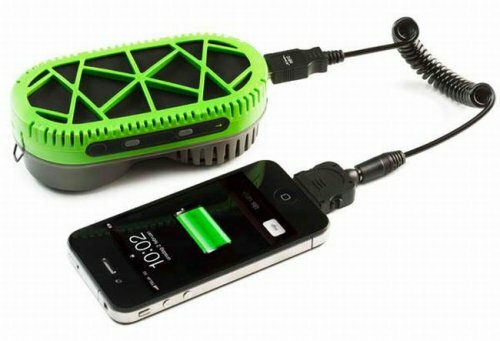 In fact, both can charge each other, meaning that it can juice up a lot of your gadgets. Which makes it perfect for both travel or adventure. You will always have juice with this gadget. If you love your gadgets, then chances are good that you travel with many of them. How do you keep them all juiced up? 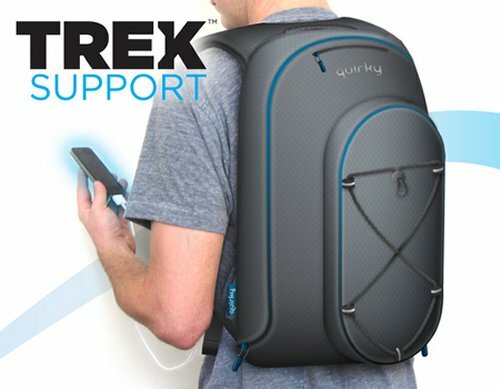 The Trek Support Backpack can help. It’s a checkpoint friendly backpack and comes with a USB hub that can power up to three USB devices at the same time. Just plug the backpack into a wall outlet and power it up. The backpack can also hold a 15-inch laptop and has a built-in rechargeable battery for some extra juice. Pricing is $150, but it can be pre-ordered now for $130. Orange has launched a new accessory. One that won’t be winning any fashion awards anytime soon. I mean look at that pic. Why would you put an ugly pair of boots on such a hot girl? Anyway these boots are designed to charge your mobile phone and are called Orange Power Wellies. The Orange Power Wellies will give you enough power to charge your phone for one hour after you’ve walked for twelve hours. Your feet will be sore, but at least you’ll have an hour of juice. You can talk about Solar Power, but are you ready to get serious about it? 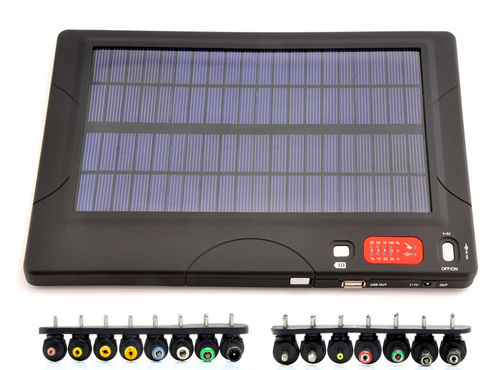 If so, this 20,000mAh battery comes with 29 adapters to charge your phones, MP3 players, cameras and laptops. It basically has all of your gadgets covered. The battery charges in about eight hours of sunlight, while plugging into AC will get it done in only three. Once it’s full it will work with just about any gadget you throw at it. And that is the real benefit here. Solar versatility. 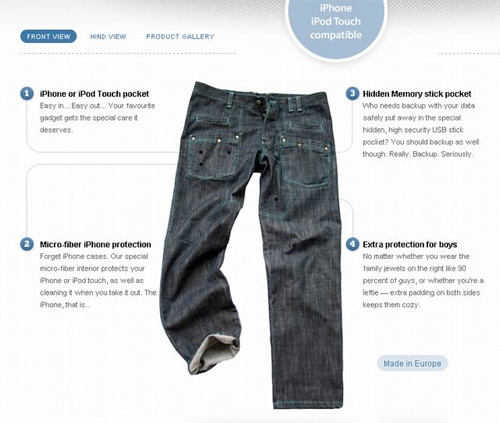 WTF Jeans has pockets for just about every gadget you own. About the only thing that won’t fit in a pocket, is your laptop. They are specialty jeans that will handle everything from USB sticks to your phones. Regular jeans just won’t do. For instance, your iPhone and iPod Touch can be safely tucked away in the micro-fiber insulated pocket that has been measured and cut so it doesn’t move around. Seems like whenever gadget makers offer women new products, it either involves make-up, the color pink or something for their purse. Well, this one covers all of those bases. 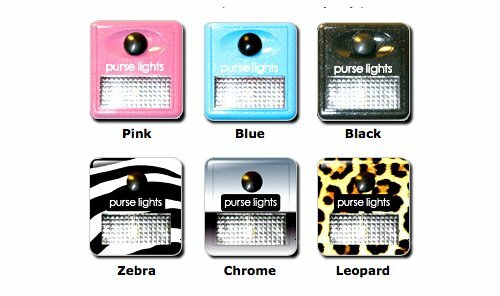 Purse Lights are powerful LED lights that can help you find your pink gadgets hidden at the bottom of your purse…In the dark. Just press the button and you’ll be able to find whatever you are looking for. Seems we’ve heard of this before, when it was called a flashlight. Of course it comes in stylish designs such as zebra, leopard, chrome, and black. And yeah, pink too. Imagine having a dog that can sniff out your gadgets and also be able to identify and react to anything that’s appropriately labeled with an RFID tag. It does this because each tag triggers a specific response. Sniff vibrates and make noises to respond to various objects. Sniff was created by Sara Johansson, Timo Arnall and Einar Sneve Martinussen; students at the Oslo School of Architecture and Design. 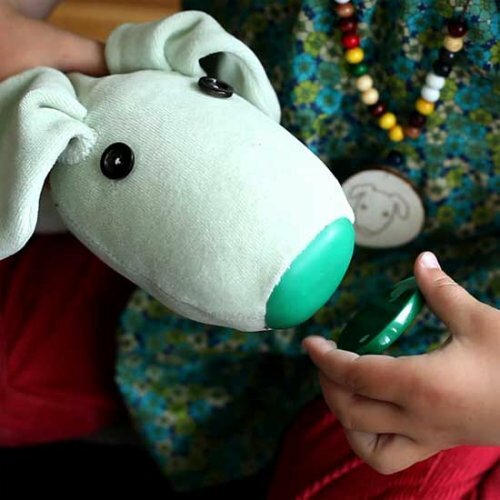 They wanted a concept for a stuffed animal that would be perfect for kids with impaired vision. This one certainly fits the bill and has a lot of promise. If you have an iPhone, an iPod Touch, a Sony Walkman, and a Nokia smartphone, then the Messless Charger will charge them all at once. It was designed by Italdesign Giugiaro and the charger lets you charge up to four devices at once, which means no wires for each gadget. Pretty handy charger to have. 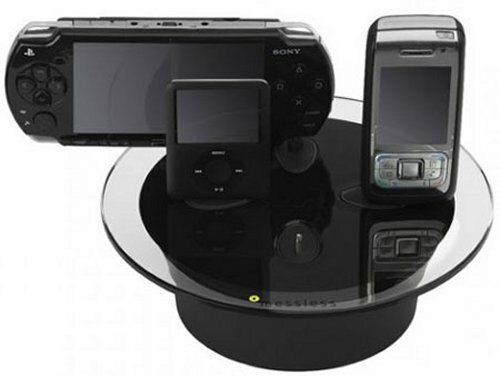 It comes with a variety of adapters including iPod/iPhone, Nokia handset ports, Sony Ericsson and mini USB. The Messless Charger is available in the UK for about $113. I can’t decide if this is pointless or actually useful, but if you are looking for a way to organize your gadgets while they charge, you may want to check out the Power Shelf. 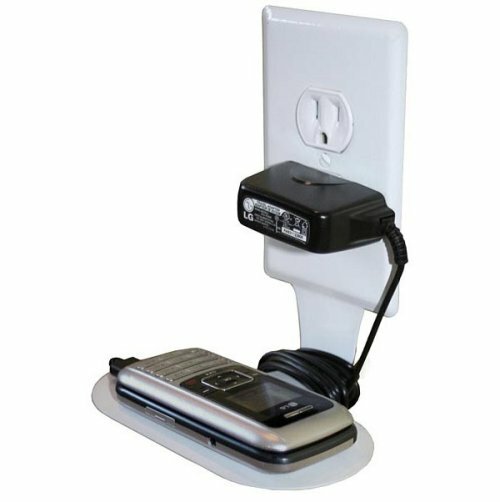 It plugs directly into your power outlet, you can then plug your gadget into the power outlet and store it on the shelf. The Power Shelf comes in several sizes so you can store and charge a wide variety of gadgets from your iPhone to your digital camera to your laptop. I guess it’s a great idea for those with limited space. The Power Shelf will cost you $14.99 to $49.99 from Think Geek. When you really start to think about the sheer number of gadgets in the world, it’s amazing they aren’t littering the streets and roadways like cold tech corpses. After all, we keep buying them and them throwing them out to buy another. But we aren’t here to preach. 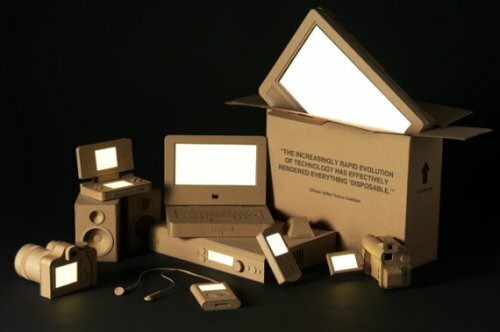 We’re just impressed by this beautiful reminder of our consumerism in the form of sculpted cardboard gadgets. These are works of art really. They are from British designer Kyle Bean and they are really nicely detailed. 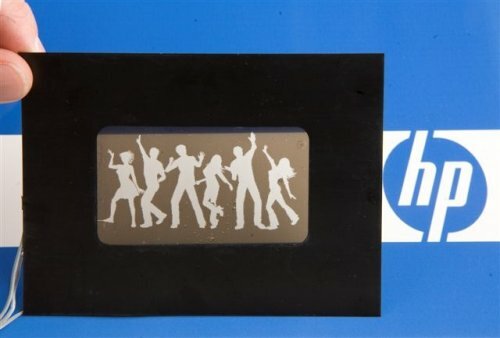 HP just announced its new range of Electronic Skins, aka eSkins. eSkins will function as a new display technology to personalize consumer electronics. It’s a flexible and reflective color film that can be used on a wide range of devices. Anything from cellphones to digital cameras, MP3 players, netbooks, notebooks, you name it. eSkins is capable of reflectively displaying icons and alpha-numeric characters to personalize nearly any device. It’s compatible with roll-to-roll plastic circuits, allowing it to merge with proprietary, electrically controllable “inks” to achieve print-like color performance and transparency. Visibility is said to be excellent, even under direct sunlight, and it can also turn transparent, to reveal the surface below. 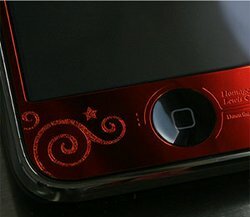 SGP makes metal skins for iPhones, iPods, cell phones, MP3 players, laptops and cameras. The skins are made of 24K gold plating or thin nickel and comes with a precision cut face plate. A word of warning, you better have a steady hand. The company warns, “Handle with Care. Thin and Sharp edge of this product may cause hurt.” You don’t want to experience the dreaded hurt, so be careful. Each kit comes with skin and accessory stickers at prices between $14.99 and $24.99. They also carbon fiber, wood and leather covers. Maybe it’s just me, but do you really want to cover your beloved gadget in this crap? I mean, if you love your device, you probably love or at least admire it’s looks. Let me just get this confession out of the way. When I shop for stuff that goes with my PC, I prefer it to look like the high tech gear that it is. What I don’t want is tech gear for my PC that looks like say a cookie or another food item. As you can imagine this three port USB hub shaped like grapes isn’t something you are likely to find on my desk. 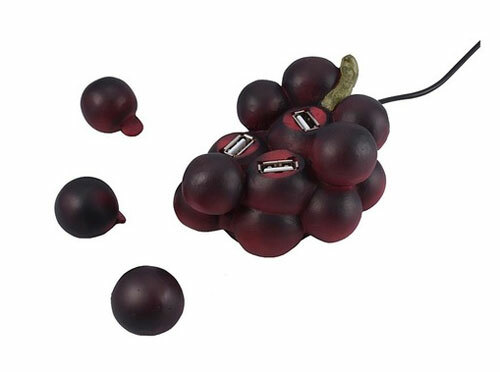 I guess if you really like fruit or wine or just like weird stuff, the grape USB hub may be perfect for you. 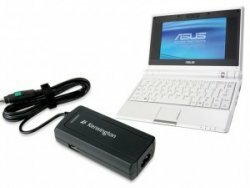 Kensington has a new Power Adapter designed specially for Netbooks. The adapter is compatible with brands like Acer, Asus, Dell, HP, LG, Lenovo, MSI and Samsung netbooks, so all of the big names are covered. But the most interesting thing about it is that it also features a USB port for powering up your cell phone or MP3 player. Don’t worry, the adapter features over-current protection, short-circuit protection, and over-temperature protection. Pretty nifty gadget to have with you while traveling.